Williams, Daniel Day. 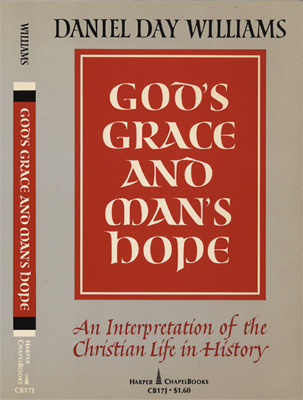 God’s Grace and Man’s Hope: An Interpretation of the Christian Life in History. Harper ChapelBooks, CB17J. New York: Harper & Row, . 215 p., 21 cm. Paperback cover design.